The painter of ‘Bradda Head’ in the collection of Manx National Heritage had long been unidentified due to an indistinct signature at the bottom left of the painting. A discussion on Art Detective led to the discovery of the artist’s identity. The discussion was proposed by Martin Hopkinson, who had noted the presence of a signature. Art UK included a note from the collection that this appeared to read ‘G. J. Ho...’ , possibly signifying G. J. Hotham. Tim Williams suggested the artist George Hotham (1796–1860) as a good initial candidate due to his initials and naval connections. 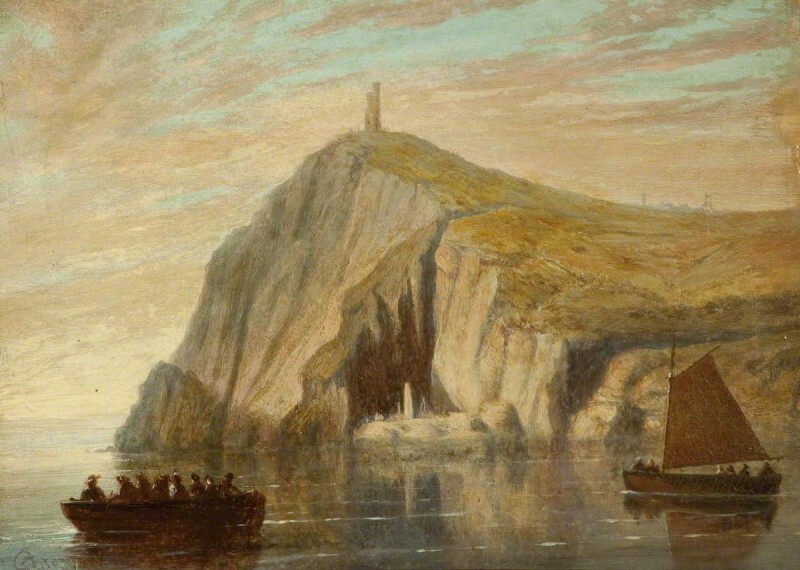 This identification was eventually rejected, as Osmund Bullock discovered, among other things, that Hotham did not possess a second initial and Cliff Thornton made evident the fact that the Milner Memorial Tower on Bradda Head, which is visible in the painting, was not erected until 1871, eleven years after Hotham’s death. Kieran Owens greatly contributed to the discussion by suggesting the possibility that it was painted by John James Story (c.1828–1899). On closer inspection of the signature on the painting, Owens argued that it depicted the two 'J.' initials sitting above the capital 'S' of the surname. Owens went on to provide further evidence of Story’s authorship by citing paintings that he had shown in exhibitions in Nottingham in the 1880s, one of which was titled Lighthouse, Douglas Head, Isle of Man (1887). This proved that Story was on the Isle of Man around 1887. Further, Owens cited Brown University’s description of Story’s preservation of The Garibaldi Panorama as additional proof of his authorship of the painting. This featured a list of Story’s exhibition entries which included the submission of a painting entitled Bradda Head, Isle of Man to the seventh annual exhibition of ‘Works by Local Artists’ in 1885. This evidence has helped to narrow down the execution date of the painting to c.1885. To conclude the discussion, Andrew Greg formally agreed to the attribution to John James Story. As a result, Art UK and Manx National Heritage have updated their records of the painting with the artist as John James Story of Nottingham (c.1828–1899). Can the artist of 'Bradda Head' be identified from a signature?